It’s another one of my Vancouver Tea Festival purchases, finally making its way to One More Steep. 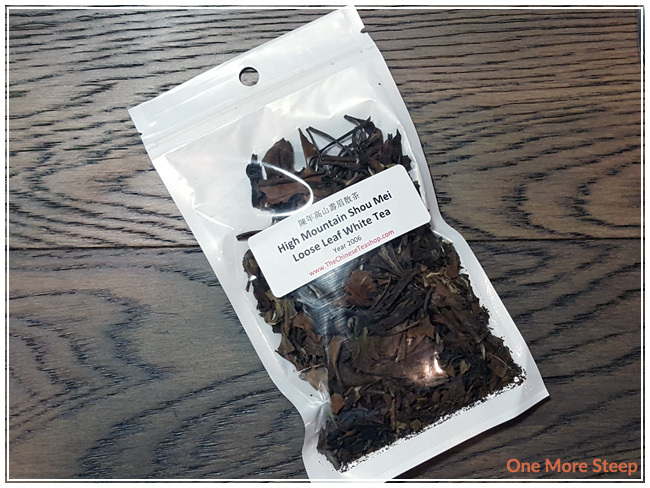 This tea comes from The Chinese Tea Shop, which is a fantastic tea shop located in Vancouver, British Columbia. I picked this one out because it just smelled so good. 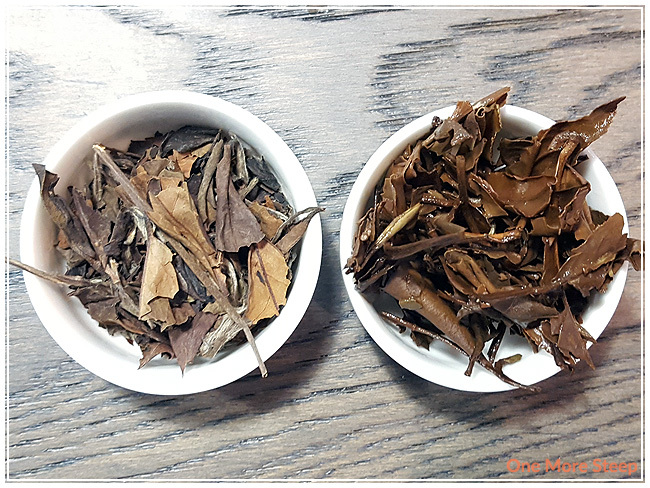 This is the 2006 High Mountain Shou Mei, which is a straight white tea. The packaging is fairly simplistic, primarily showcasing the tea itself. As you can see, the tea is primarily whole dried leaves. There is some broken tea leaves throughout – I’m not sure how much of that is because of how I had it stored (squished between other teas). The aroma that comes from the dry leaf is primarily floral, with a light sweetness to it. The Chinese Tea Shop has so much information on their website regarding tea culture, and steeping tea. For this white tea, I opted to do an initial steep at 175°F (80°C) for 2 minutes. If I’m not too familiar with a type of white or green tea, I try to keep the water temperature as low as possible and do short steeps, this helps to prevent astringency and bitterness! High Mountain Shou Mei steeps to a fairly pale yellow for the initial steep. I found that the aroma from this white tea to be quite floral, with a slight fruity undertone that reminds me of apples. 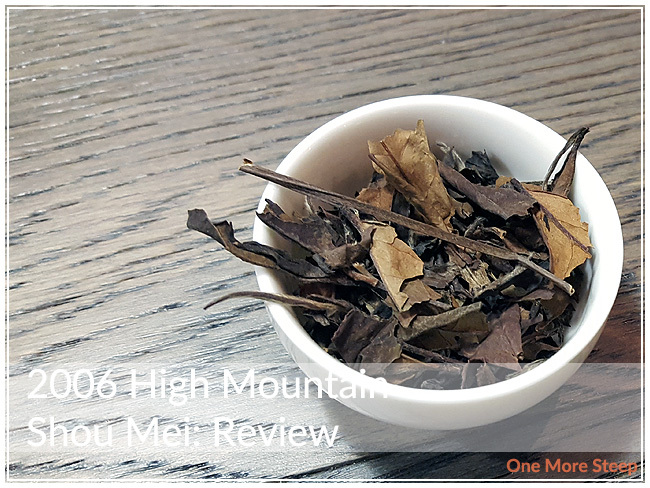 When drinking High Mountain Shou Mei, I found it to be smooth, with a sweetness that I wasn’t expecting. I could taste the floral and fruity (definitely apple!) notes, but there was a sweetness that was present. It wasn’t overwhelmingly sweet, it was just enough to highlight the fruity flavours and accents the gentle apple flavour that I get from this tea. I resteeped High Mountain Shou Mei six times (seven times total), adding an extra 30 seconds for each subsequent steep. Shou Mei got to be a deeper, darker golden yellow with each steep, the colour peaked at the third resteep. I found that the flavours got stronger as the colour got deeper. After the third resteep, the colour and flavour began to fade, but was still palatable by the last resteep. I loved The Chinese Tea Shop’s 2006 High Mountain Shou Mei. 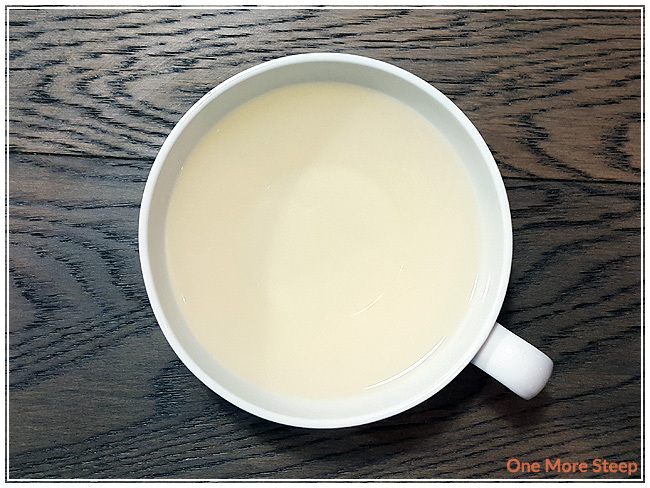 This straight white tea was a delight to have over the course for a long morning tea session (which is apparently what I do when I wake up at 5am not on purpose). 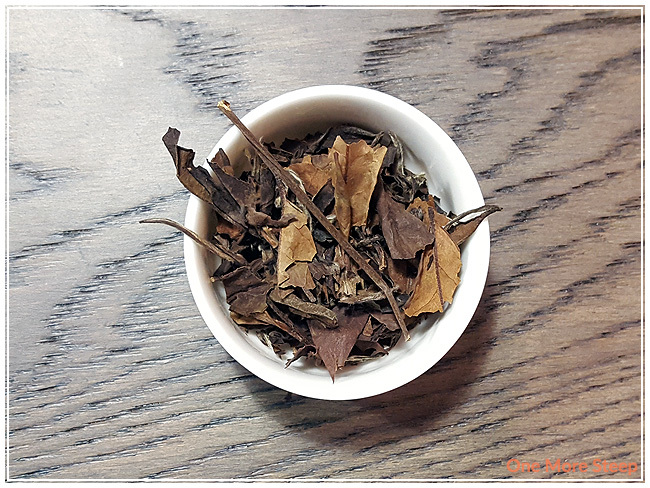 I loved tasting this tea over and over again, it resteeps so well and has such a great flavour. The apple-y sweetness was nicely balanced with the floral notes, I just love the natural flavours of this tea. This tea can be on the pricey side (although cost per gram goes down if you buy a larger quantity), but the quality is so high that I think you can definitely get your money’s worth out of each steep, especially if you push it to its limits like I do with multiple steeps.